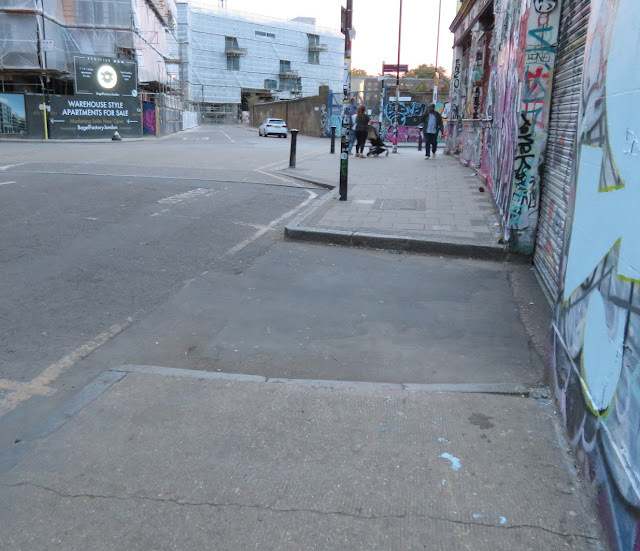 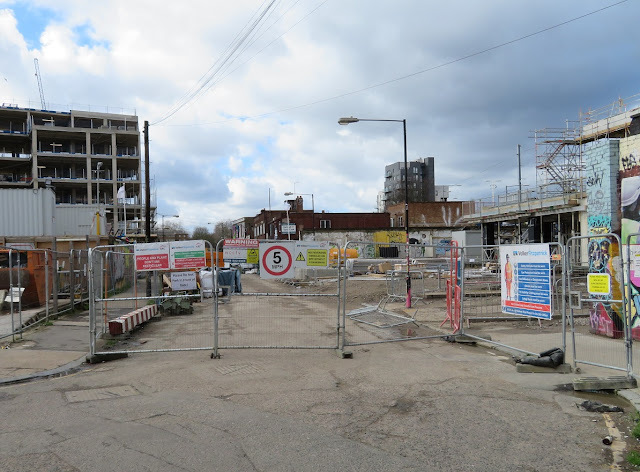 However this is the LLDC who are not very keen on creating cycle routes but are keen on "cyclists dismount" signs, so it is unlikely this will become a walking and cycling route. 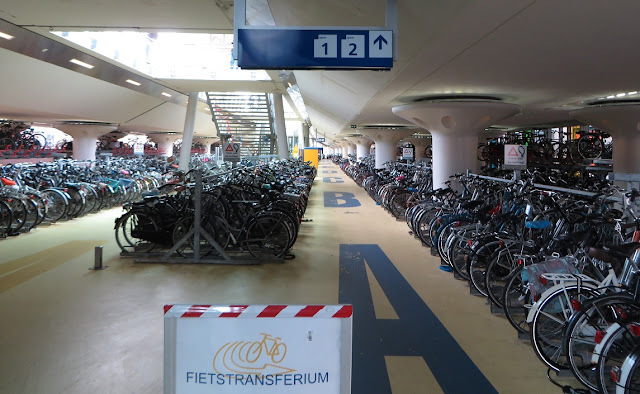 Bicycle parking at a bus stop in the suburbs of Amsterdam. 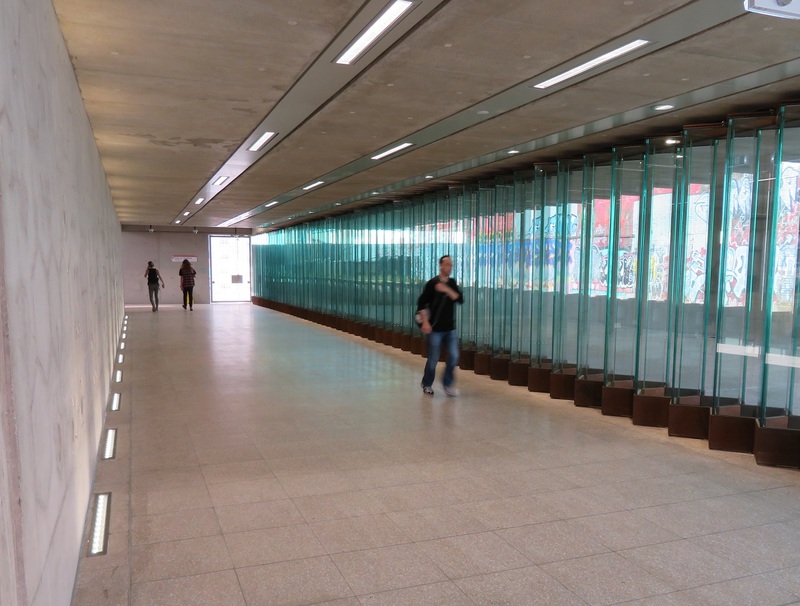 With large unused space outside the new station could something like this have been built at Hackney Wick? Pedestrian activity will increase here considerably in the near future, with huge apartment blocks very close to the station nearing completion and even bigger ones still going through the planning process. 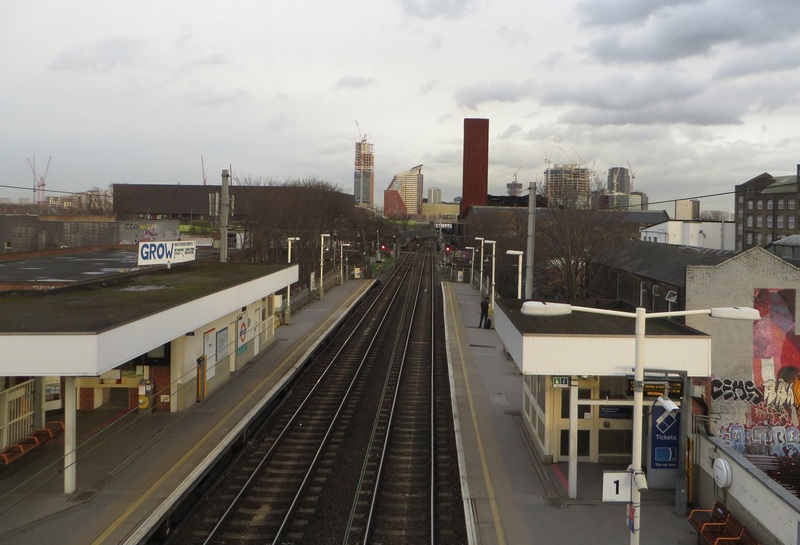 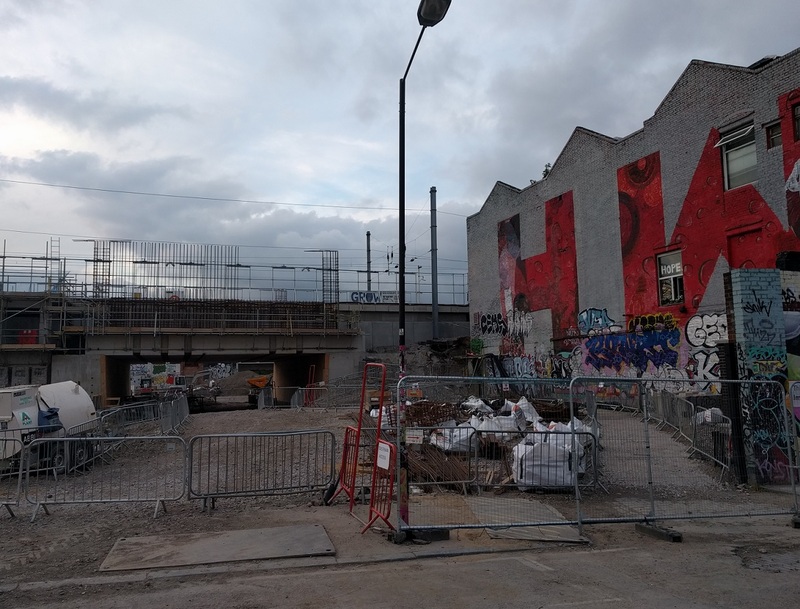 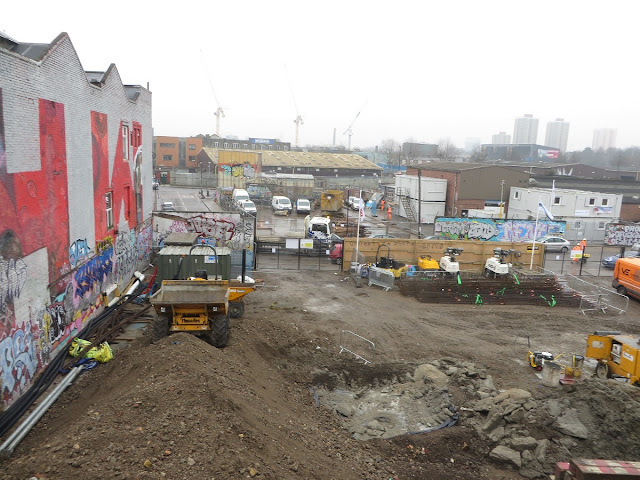 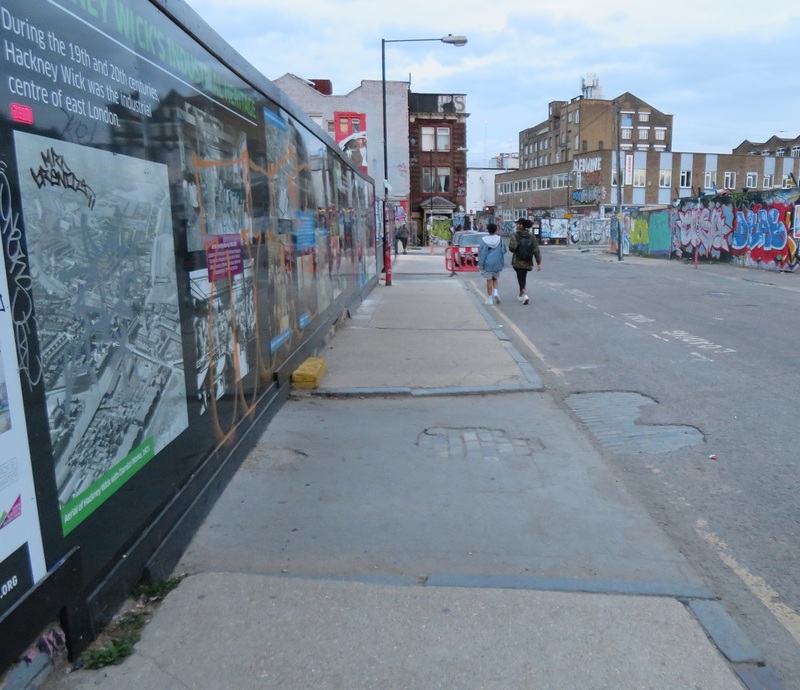 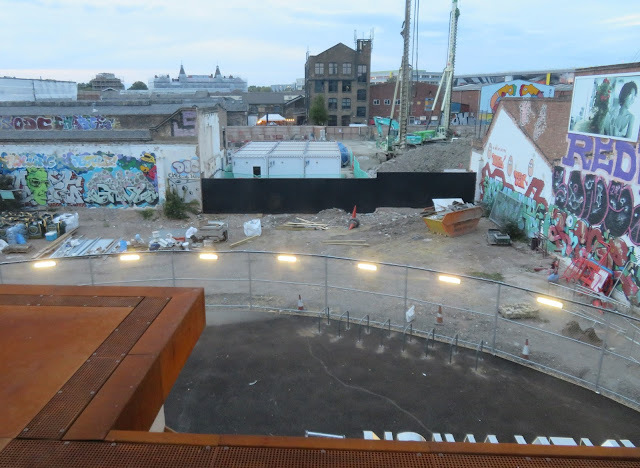 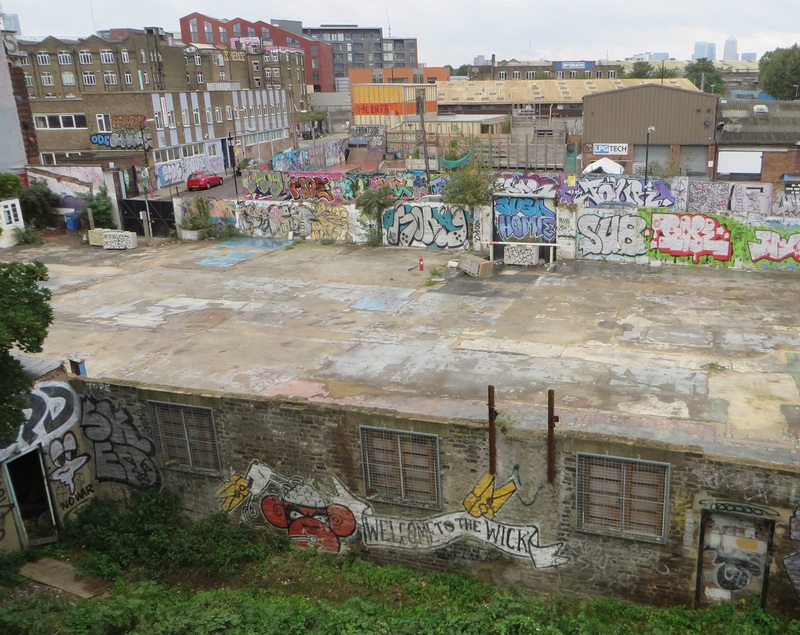 However Hackney Wick will also be the local station for residential areas such as East Wick and Sweetwater in the Olympic Park and the developments under construction on Fish Island which will all be a good 10 to 15 minute walk away. 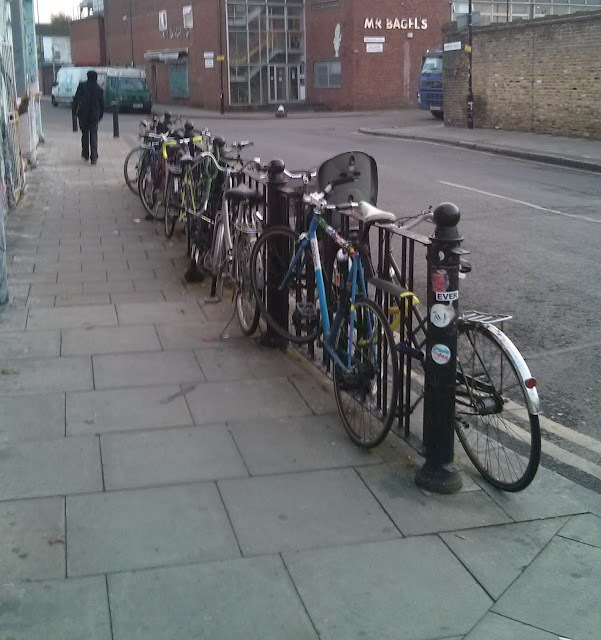 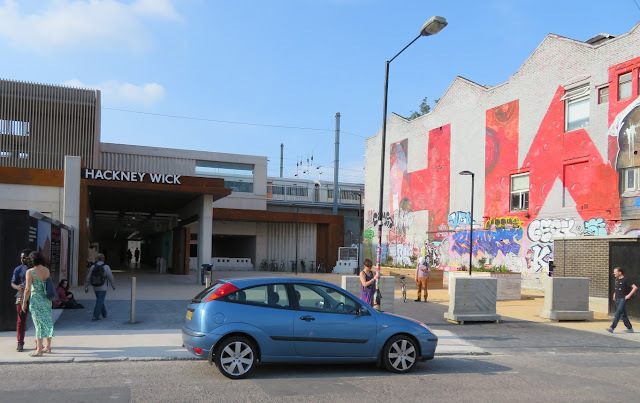 Hackney Wick is also my local station and is at least a 10 minute walk; I usually do walk it but on occasions use the bike, especially if I know I'll be coming back with shopping and a child which is much easier to transport home from the station by bike than on foot. 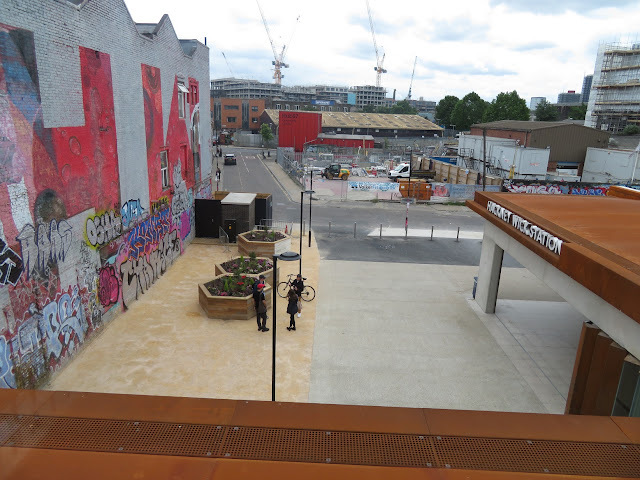 I suspect many residents in the North of the Olympic Park will prefer a short bike ride home from the station, rather than a longer walk too. As a local resident I'm grateful for the station upgrade and it is a stunning addition to the area but I can't help feel this was a missed opportunity not to create new cycling routes. 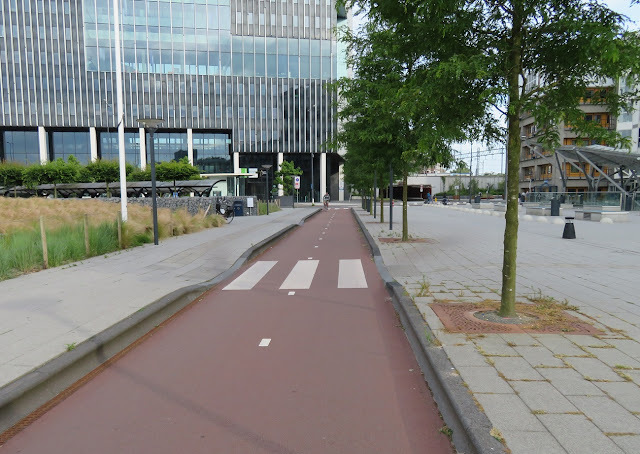 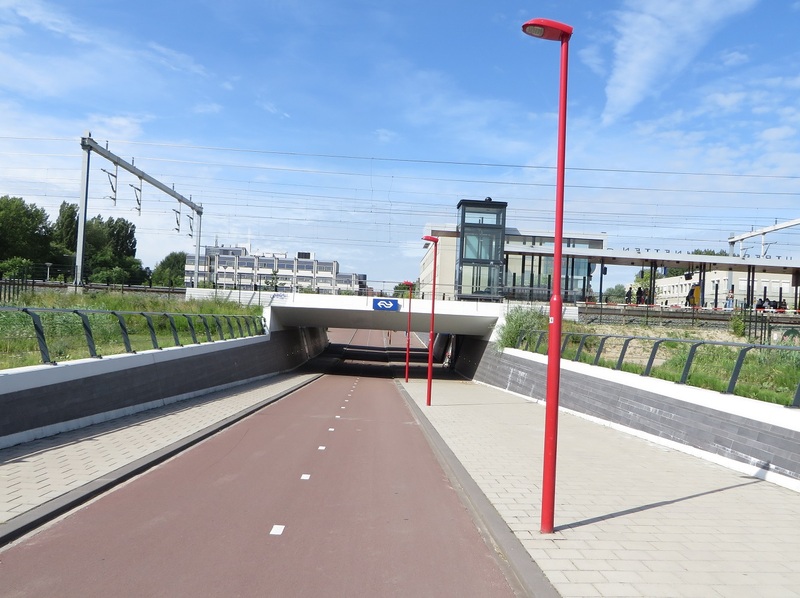 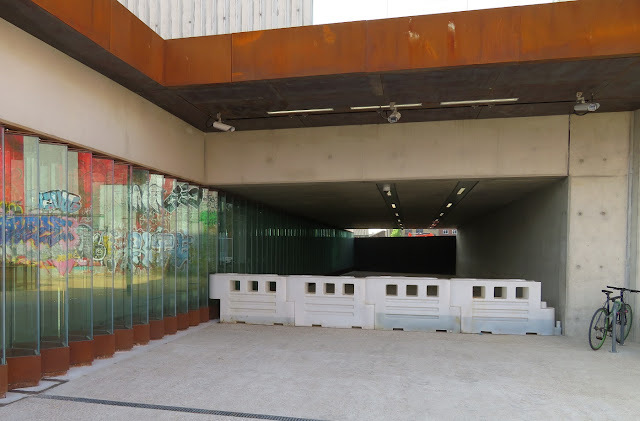 Meanwhile the next time you see a Dutch video of a new cycling underpass being built over the course of a weekend please remember we can also do that in the UK too, we just choose not to.